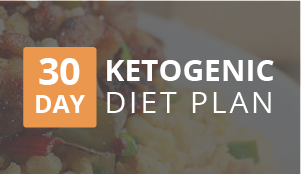 When we’re on a ketogenic diet, bringing variety, trying new things, and enjoying new flavors is the way to do it – and this curry won’t disappoint. I know not many people like the word curry because it normally means one thing in a person’s mind. But there are tons of varieties of curry out there. Thai, Indian, Chinese, Malaysian – they all have their own special twists that make them unique to the region they’re made in. 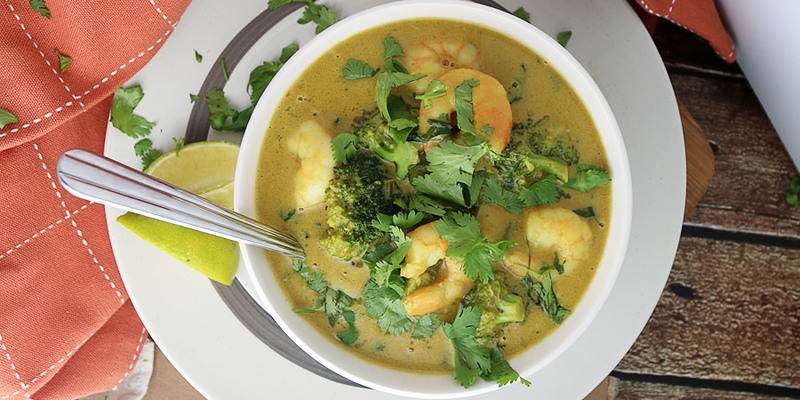 Today, we’re going with a Thai style curry, that won’t be spicy at all. It’s more like a soup that’s filled with delicious flavors! 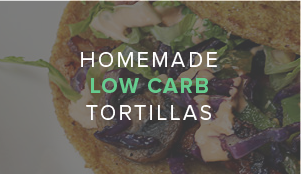 This is a combination of some of my favorite flavors – coconut, peanut butter, lime and cilantro. 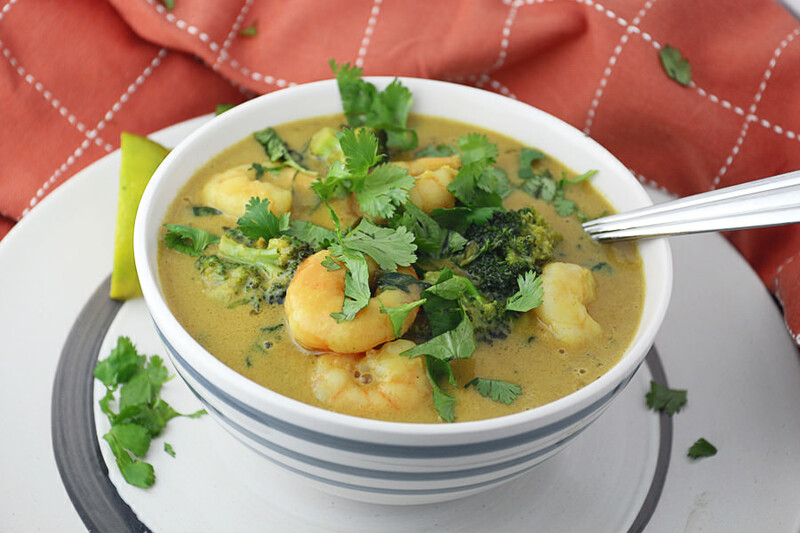 It comes together to make a creamy and slightly thick base that’s filled with delicious fresh broccoli and shrimp. We first get a hint of coconut and lime when we taste the curry. Slowly, the peanut flavor brushes over our taste buds as we chew. Each and every bite will be unique, some getting broccoli and shrimp in one bite and getting a bit of garlic and cilantro in another. Just remember, if you need this curry to be completely gluten free, opt out of the soy sauce and use coconut aminos. 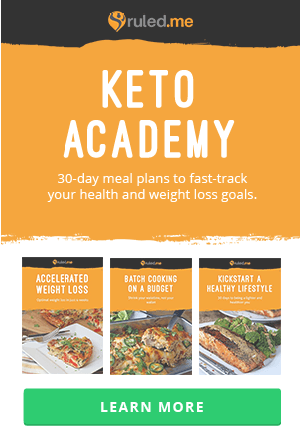 The fish sauce is normally going to include gluten, so make sure you have unprocessed fish sauce – my favorite brand is Red Boat Fish Sauce. 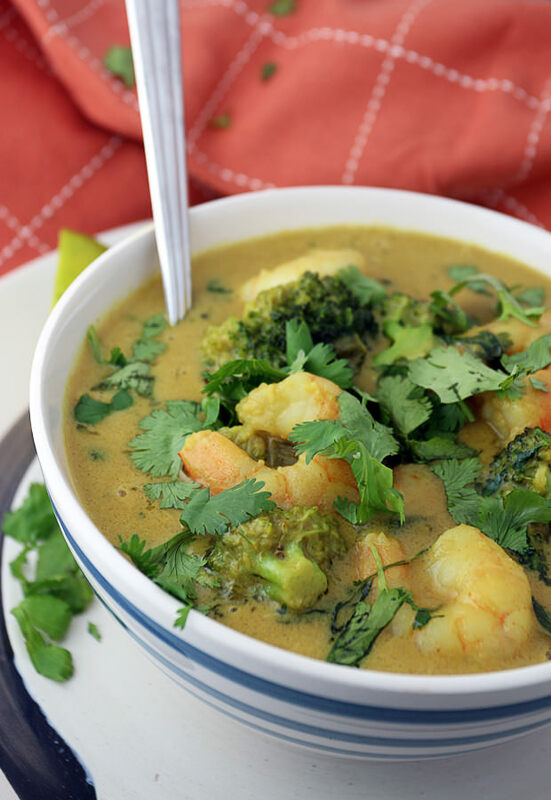 Do you have a favorite curry recipe you want to share with us? Let us know in the comments below! 1. 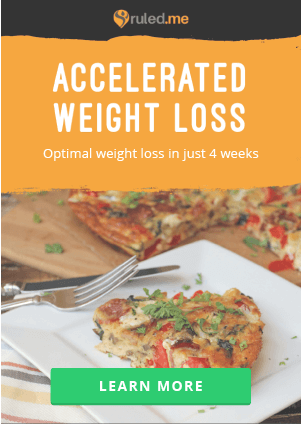 Start by adding 2 tbsp. coconut oil in a pan over medium heat. 2. 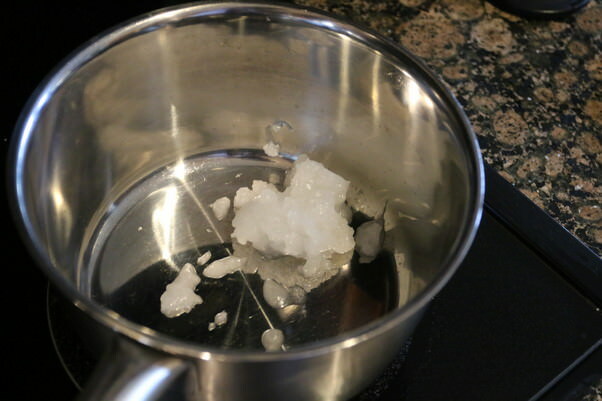 When the coconut oil is melted and the pan is hot, add the 1 tsp. roasted garlic, 1 tsp. minced ginger, and 1 spring onion (chopped). 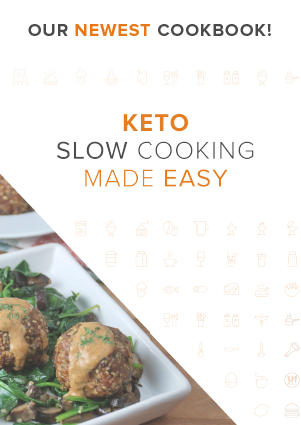 Allow to cook for about a minute, then add 1 tbsp. green curry paste, and 1/2 tsp. turmeric. 3. Add 1 tbsp. soy sauce (or coconut aminos), 1 tsp. fish sauce, and 1 tbsp. peanut butter to the pan and mix together well. 4. 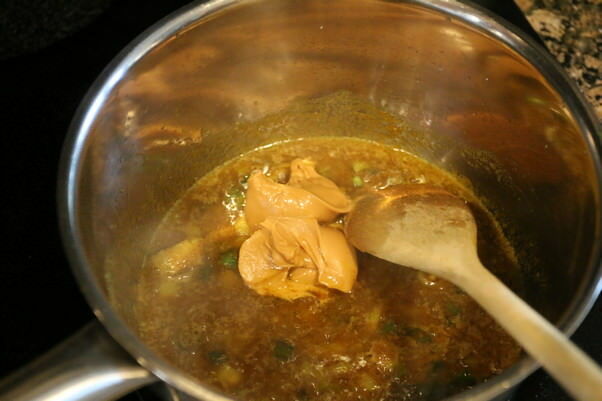 Add 1 cup of vegetable stock and 1 cup of coconut milk (from the carton). 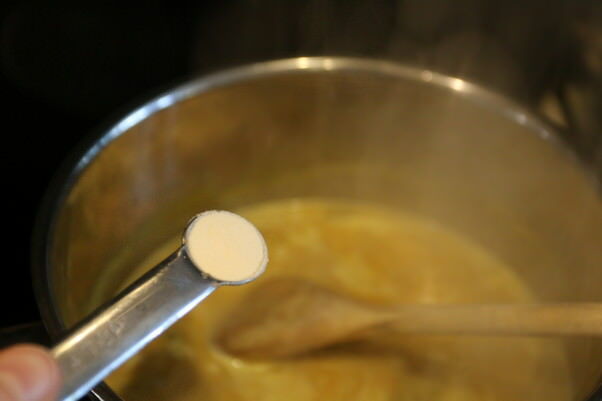 Stir well and then add another 1 tbsp. green curry paste. 5. Let simmer for a few minutes. In the mean time, measure out 6 oz. 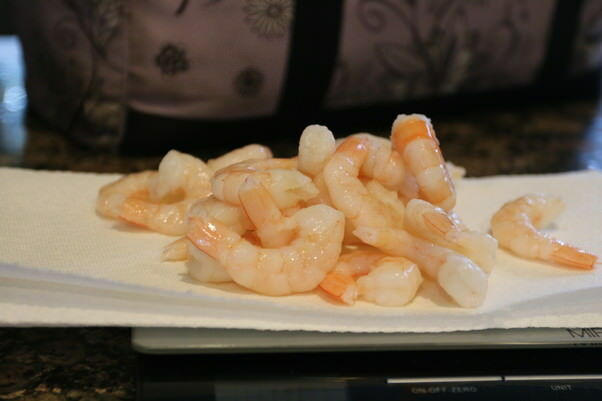 pre-cooked shrimp. 6. Add 1/4 tsp. 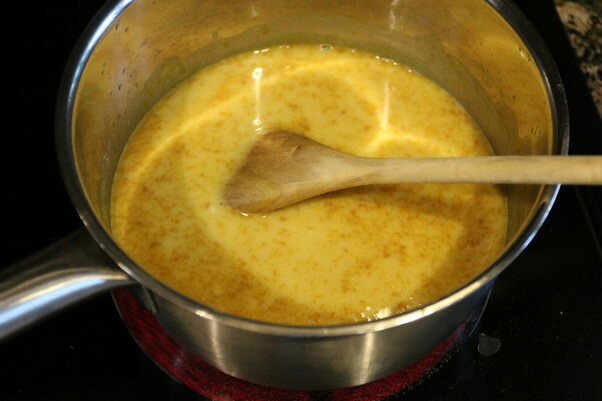 xanthan gum to the curry and mix well. 7. 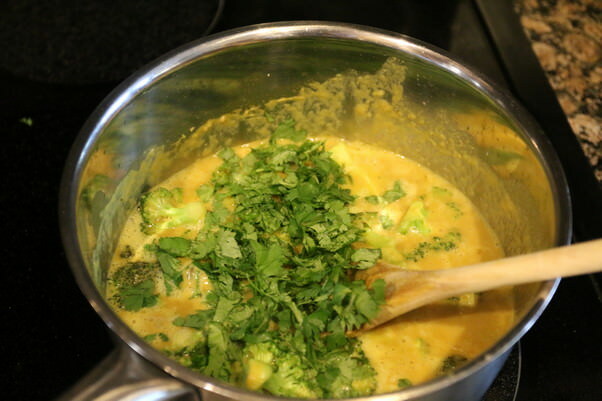 Once your curry begins thickening up a little bit, add the broccoli florets and stir well. 8. Chop 3 tbsp. fresh cilantro and add to the pan. 9. 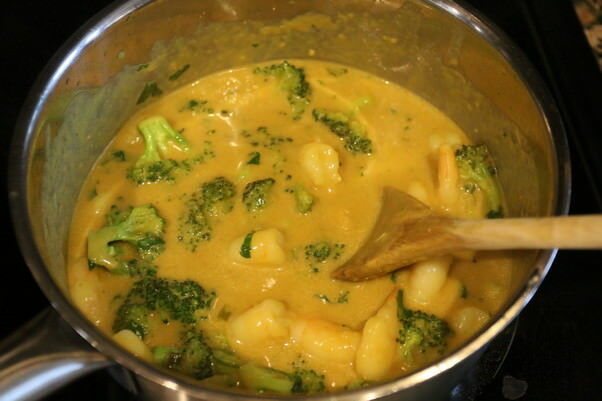 Finally, once you are happy with the consistency of the curry, add the shrimp and lime juice from 1/2 lime, and mix everything together. 10. Let simmer for a few minutes. Taste and season with salt and pepper if needed. 11. Serve! 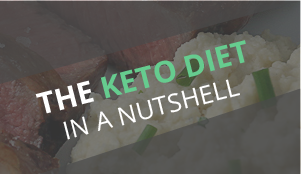 You can stir in 1/4 cup of sour cream per serving. Add 2 tbsp. coconut oil to a pan over medium heat. 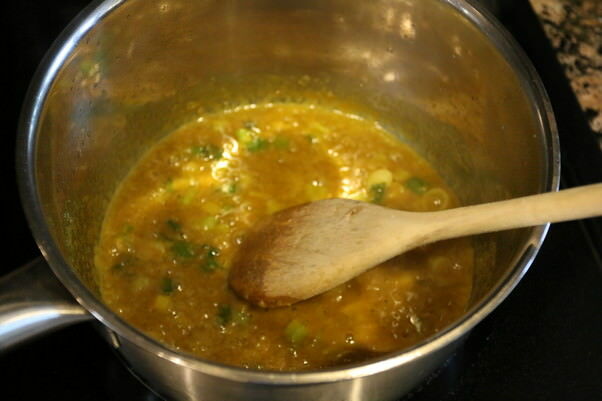 Once hot, add ginger, garlic, and chopped spring onion. 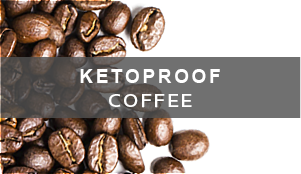 Allow for the ingredients to cook, then add 1 tbsp. green curry paste, turmeric, soy sauce, fish sauce, and peanut butter. Stir together well, then add vegetable broth and coconut milk. Add 1/4 tsp. xanthan gum and mix together well. 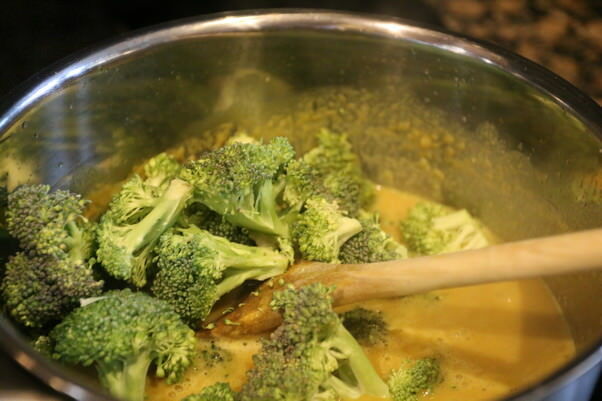 Once curry thickens slightly, add broccoli and stir in well. Chop cilantro and add to the pan. 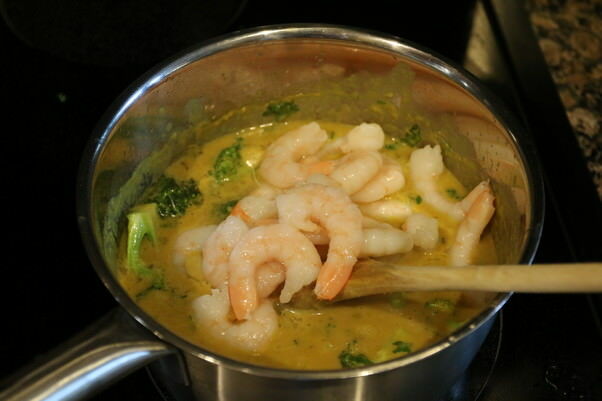 Last, add shrimp and mix everything together. Let cook for a few minutes, then serve with a dollop of sour cream over the top!